LONDON, UK – Total Telecom has announced the launch of the first Connected Britain Awards to be presented during this year’s Connected Britain event, which is taking place 19-20 June at the Business Design Centre in London. 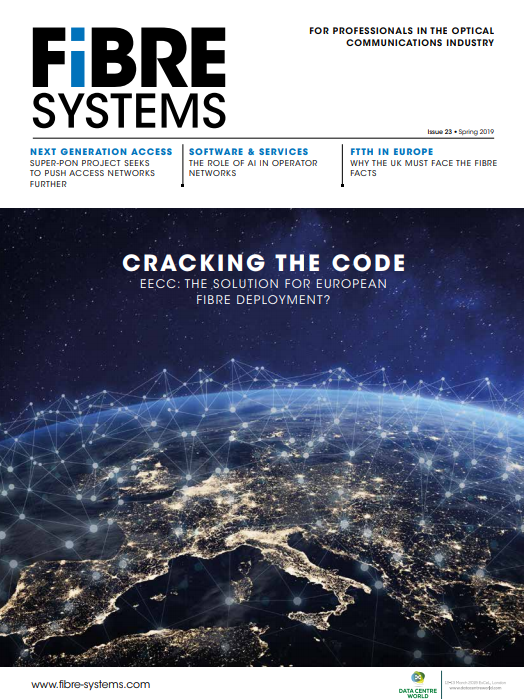 Ten categories will be awarded, with entries open to all parts of the ecosystem, from operators and alt-nets to government departments, local authorities and superfast bodies, with the winners determined through the deliberation of an expert panel of judges chaired by Total Telecom editor, Chris Kelly. MCLEAN, VA — GTT Communications, Inc., the leading global cloud networking provider to multinational clients, has announced the acquisition of Custom Connect, an Amsterdam-headquartered provider of high-speed network connectivity serving the world’s leading multinational enterprises and financial trading firms. SOUTHAMPTON, UK – Some 98% of all intercontinental telephone calls, internet traffic, emails, messaging and private data traffic are carried as digital data by fibre optic cables laid by specialist ships across the world’s oceans. Today’s cables, typically 25mm in diameter and weighing some 1.5 tonnes/km, are a far cry from the first working cables, laid in 1853 and linking Great Britain with Ireland, Belgium and the Netherlands. COVENTRY, UK – Coventry has become one of the first cities in the UK to connect the majority of its GP practices to a Gigabit City network, offering world-class connectivity to staff and patients. Gigabit City builder CityFibre is working in partnership with systems integrator, Pinacl Solutions, to connect 62 of the region’s doctors’ surgeries and community health centres to their very own next-generation full-fibre network. STAMFORD, CONN — The worldwide semiconductor revenue totalled $419.7 billion in 2017, a 22.2 per cent increase from 2016, according to preliminary results by Gartner, Inc. Undersupply helped drive 64 per cent revenue growth in the memory market, which accounted for 31 per cent of total semiconductor revenue in 2017. The SoftFIRE project consortium is calling for applications to its challenge on Network Function Virtualisation (NFV), Software Defined Network (SDN), and 5G technologies. The call goes out to all technologists, visionaries, and practitioners involved in these fields. LONDON, UK – Xtera®, a provider of innovative subsea fibre optic solutions, today announces a partnership with Fortress Solutions, a leading provider of telecom equipment repair, to enhance the longevity of its cable systems. As an ISO 9001, TL 9000, ISO 14001 and R2-certified equipment repair service provider, Fortress Solutions will enable Xtera to reduce the turnaround time on legacy equipment and provide a high level of service for its customers. CHELMSFORD, UK – Global Marine, a market leader in subsea fibre optic cable installation and maintenance solutions to the telecoms and oil & gas sectors and part of the Global Marine Group (GMG), announced today that its maintenance contract with SEAIOCMA (South East Asia and Indian Ocean Cable Maintenance Agreement) has been extended for five-years, running to the end of 2022. LONDON, UK -- Dana Tobak, CEO of Hyperoptic, the UK’s largest residential gigabit broadband provider, has been awarded a CBE for her services to the broadband industry. A CBE (Commander of the Order of the British Empire) is awarded for outstanding work in an individual’s respective field. Dana Tobak is a renowned broadband entrepreneur. In 2005 she co-founded Be Unlimited, which spearheaded the move to ADSL 2+ and provided a record-breaking service of 24Mbps. It acted as a market catalyst for an industry-wide uplift in broadband speeds and was quickly acquired by O2.